The Magazine Manager’s customizable and searchable invoicing system is both easy to use and flexible. It flawlessly transfers information from an insertion order, to a contract, and then over to the final invoice. Complicated terms? No problem! Even complex media packages with stand-alone production charges, net/gross adjustments, and barter agreements can be billed with minimal effort. The Magazine Manager has several options to get publishers paid faster. From Quick Pay and Auto-Pay to PCI Compliant Credit Card Processing, The Magazine Manager can reconcile multiple bills effortlessly, even in batches! Already using QuickBooks? Great! 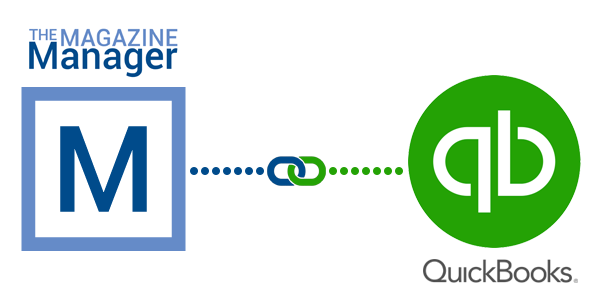 The QuickBooks Web Connector integration package pushes data from The Magazine Manager directly into your QuickBooks version. New transactions, including invoices and payments, can be easily captured along with basic changes, such as address updates. Invoice and payment details by client, publication and time period can be quickly extracted and sorted. Other reports, such as aging A/R summaries, sales rep performance, conversion rate analysis, and custom configurations, are available and easy to generate. The Magazine Manager uses a Payment Card Industry Compliant solution to protect information transferred over the web. Client data is protected with an SSL certificate using a 1024-bit key to keep financial transactions secure and safe. Invoices can be searched by company, name, publication, issue, sales rep, invoice date and several other invoice fields. Additional filters, such as open, closed, past due, or barter, are additional invoice attributes that can help mine results. Statements and invoice templates can be customized with logos, images, and custom fields. Specific data can also be highlighted, such as partial payments or number of days overdue. Or, for clients with severely past-due balances, "Collection Letters" can be sent.